Log in to access the back office of your site. After creating an account and choosing a template on backbee.com, the address of your new site is sent to you by e-mail. By clicking on the link sent, you are redirected to your site. The sign in window appears. 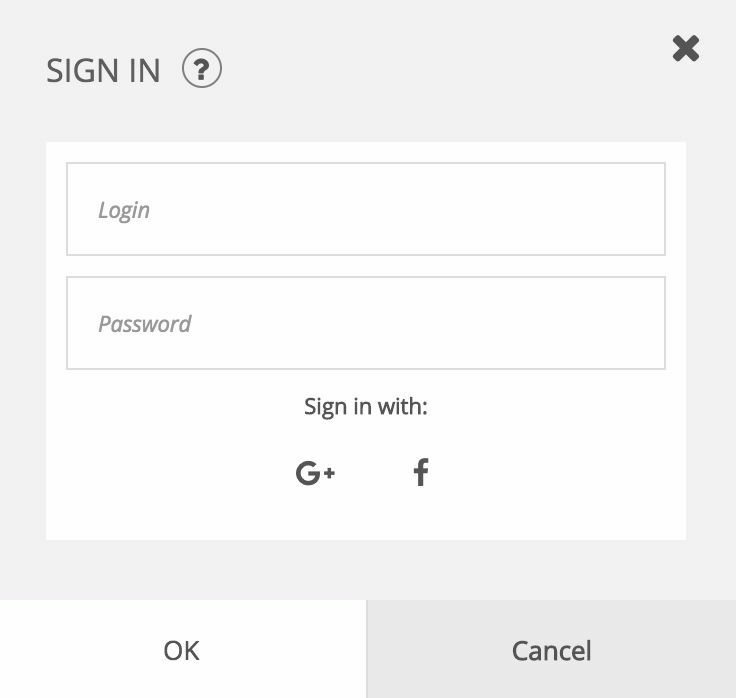 Enter the username and password you used when creating your account on backbee.com. If you used Facebook or Google + to create your account, click on one of the two logos to log in. You can see the interface bar on the left side of the screen: this means you have successfully logged in to the back office of your site and you can now add or modify your contents.